Another busy couple of weeks for the Rabons, filled with things to be thankful for! 1. Applying some of the things that I’ve been learning about Real Foods. I bought some organic, grass-fed, non-homogenized, batch pasteurized whole milk at Vitamin Cottage. It’s not quite raw milk status, but is a marked improvement over our regular milk. And actually, it tastes a whole heck of a lot better, too. 2. My sweet husband buying me Silver Linings Playbook on pre-release… and having watched it three times since. It just makes me happy. 3. Getting the amazing opportunity to see a baby great horned owl up close and help the animal services officer rescue it. He/she was safely returned to the area of the nest. 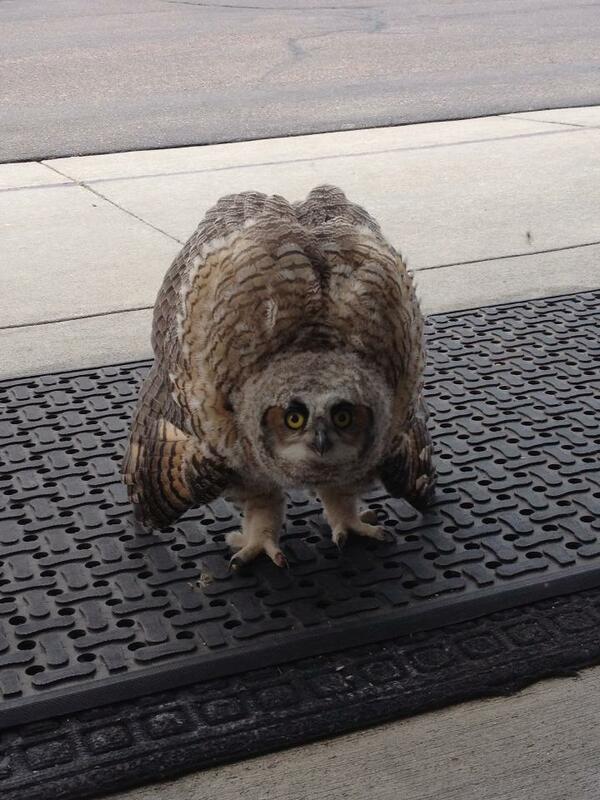 Our sweet little owl friend just marched right up to our front doors at work and hung out. 4. 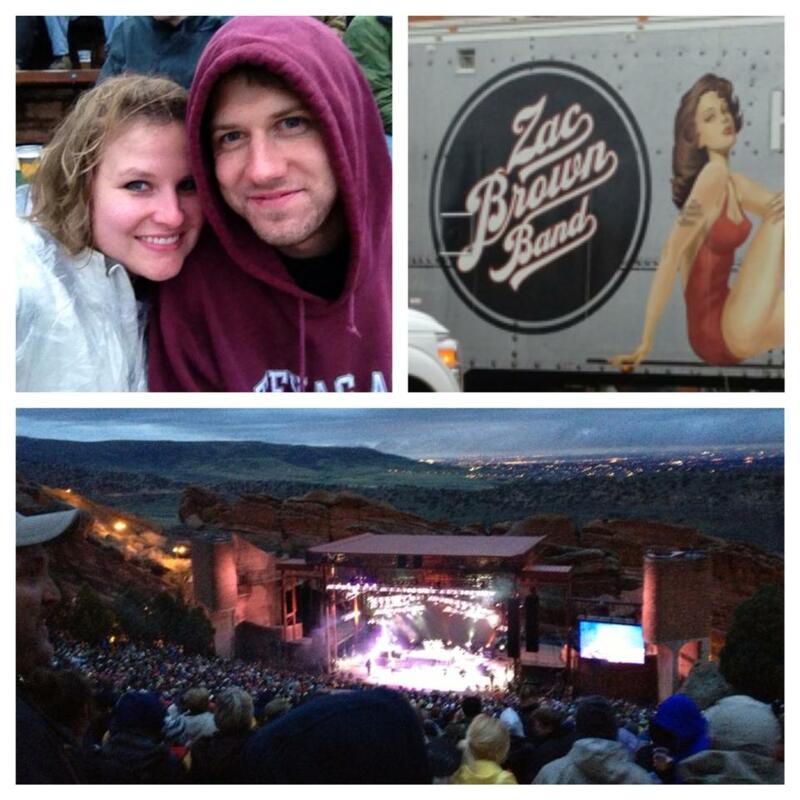 FINALLY getting to see the Zac Brown Band at Red Rocks!! 5. The rain letting up for the entire show – definitely appreciated. 6. Hearing ZBB play Chicken Fried, Devil Went Down to Georgia, Enter Sandman (what!) and so many other songs we love. Found on Instagram. Cropped to protect the innocent. 7. Getting to enjoy our first self-chosen concert with my husband. You’d think after 6 years together we would have done this before, but what better venue and band could we have possibly asked for? 8. Going to opening day of the Highlands Ranch Farmer’s Market and getting some amazing whipped honey mixed with caramel and cinnamon (separately). 9. Getting to watch some of the Sharks game at Trivia and the Sharks sweeping the Canucks! 11. Manna from Heaven aka In-n-Out existing in Dallas and getting to savor a #3 with no onions & a Neapolitan shake. 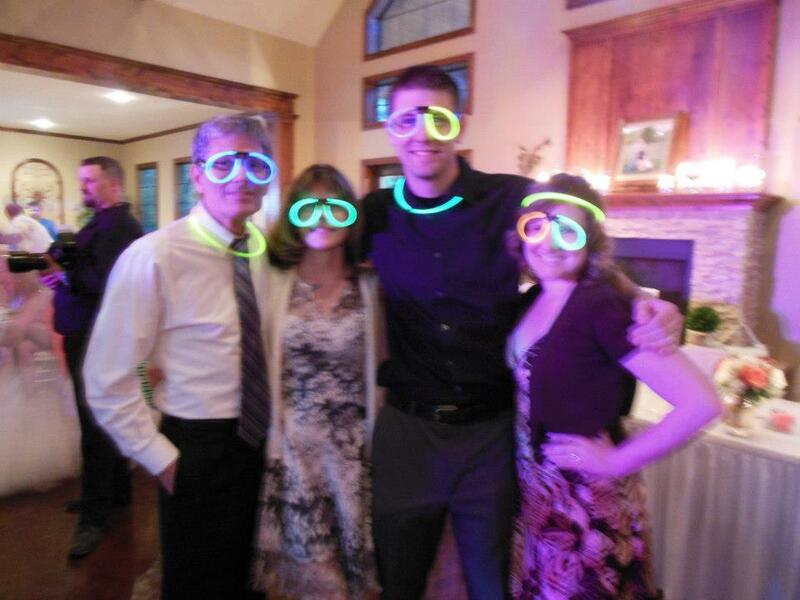 You wish your in-laws were as cute as mine. 15. Having a good run on Tuesday, even though it was rather windy. I definitely pushed hard and saw improvement. 16. With only half a team, placing 2nd at Trivia! 20. Getting to go to our 3rd Rockies game of the year and finally not having to wear jackets! What a beautiful night for baseball.